For many businesses today, colocation just makes sense. It provides the infrastructure and security of a dedicated data center without the costs of maintaining such a facility on your own. By housing their servers in a colocation facility, companies enjoy the benefits of having their servers in the cloud while still maintaining physical control of their systems. When a manufacturer decides to build a new plant, most build near existing roads and utilities. Taking advantage of existing infrastructure mitigates the costs to the company. Building their own roads and power plant significantly increases the costs of both construction and ongoing operation and maintenance. Today, information is the main commodity and that information resides on servers. Servers require infrastructure as well; such as power, cooling, connectivity, and security, all built with redundancies and backups. Colocation gives you the ability to to mitigate costs by housing your servers in a facility that provides the infrastructure and physical security to keep your deployment safe and operational. Colocation gives you control over your systems. 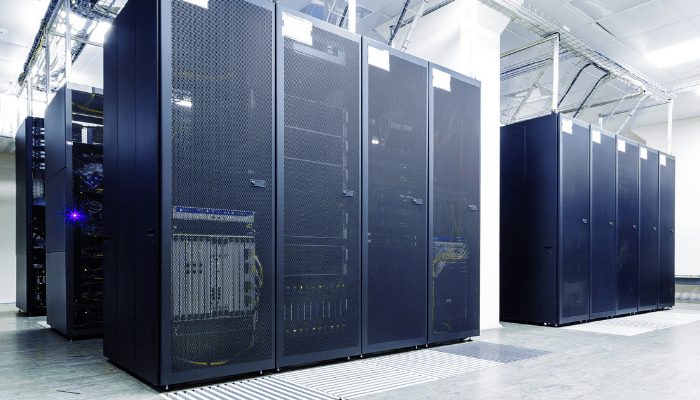 You and your tech team can physically access servers at a colocation center as needed. Given that physical access is one of the main advantages of colocation, why would you want your primary colocation data center situated across the world, or even in a different region of the country? That negates the whole purpose. Let’s take a look at some of the reasons why a local colocation data center can be hugely beneficial to you and your business. Many business leaders who move their data off-site are concerned that they won’t have perpetual access to their server stacks, and risk getting caught locked out, as it were, just when they have an emergency. By opting for a local colocation facility, you can have access to your hardware – and your data – at all times. Security is one of the main comforts of a colocation data center, and when the facility is within an hour of your place of business, checking up on security in person is easy. You can use key cards or biometric security features to gain access to the servers. Other regulated entry and camera surveillance help ensure that your data can’t be tampered with, in the physical plant. Today’s hardware needs certain cooling (HVAC), conditioned power, backup generators, sophisticated security systems and the like, and each of these systems has its backup in case of failure. Colocation facilities are built specifically to meet these needs, and because they are constantly monitored by professionals in charge of these arrangements for several tenants, using a plant like this can save you significant amounts of money. When your colocation plant is nearby, you can check up on these systems and their failsafe backups. You don’t need to personally make sure they’re all operational at all times, but if you want to drop in and take a peek, you still have the option. The staff of your local colocation center provide not only real live customer service when you need it, but also they monitor your data center servers in person and use their expertise to determine that everything is as it should be, and assess if and when any changes are warranted. They maintain correct and up-to-date certifications and make sure that security is always thorough in its protection of your equipment. When your data is stored far away, you can’t have the same kind of relationships with these professionals that you can cultivate when you see them on a regular basis. Another benefit of knowing the real live people who staff your local colocation center is that you know whom to turn to if you run into any trouble or need help. Cloud storage services may answer their phones, or they may not, but the people actually in charge of the plants at companies like that are usually not the people available to speak with you. With local colocation, it’s a smaller team in charge of pleasing a relatively small group of tenants, so there is greater accountability and expertise among the staff. When your local internet service provider is also your local colocation solution, everything runs more efficiently and smoothly. Upload, download, and disaster recovery all becomes a far easier and faster enterprise when you’re on a dedicated network. No need to share bandwidth with the entire Internet and no need to send your data around the world before it makes its way to and from your servers. 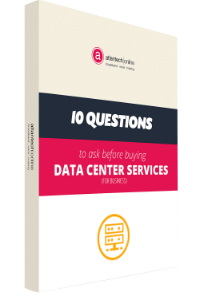 Opting for a local colocation data center may feel like the right move, but the odds are good that you have questions how such a facility will benefit your specific business, and also how you choose the right center for you. Turn to Atlantech for guidance – helping people with these types of decisions is our specialty.